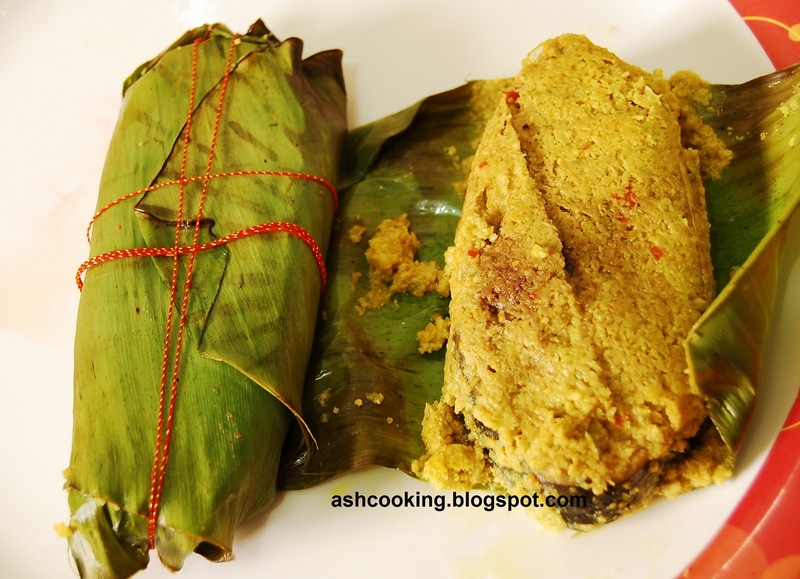 My mother used to cook Elish paturi wrapped in pumpkin leaves and fried on tawa. As you unfold the crispy pumpkin leaves to extricate the fish while eating, the crispiness of the pumpkin leaves assimilated nicely with the spices used for cooking the fish elevates the dish altogether to a different level, something that I have never tasted anywhere else except our home in Kolkata. 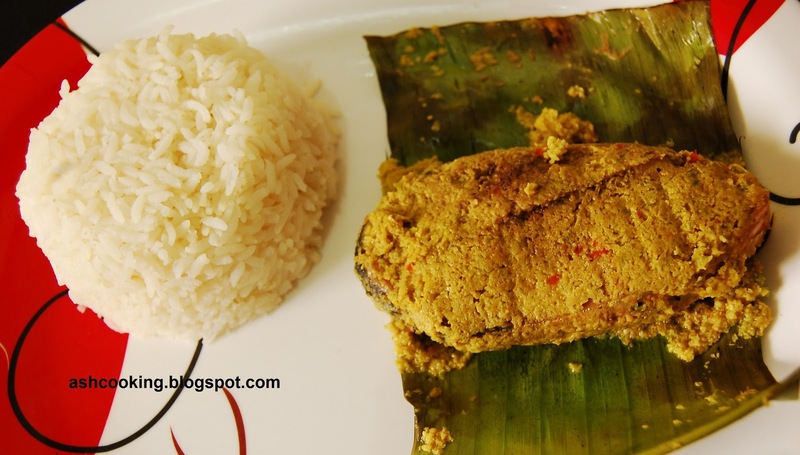 Nothing can beat the heavenly experience of my mother's version of Elish paturi when eaten with warm steaming rice. I am already salivating. But today I will not post my mother's version of Elish paturi. I would rather post the traditional recipe of Elish paturi folded in banana leaves and cooked through steaming. This is the one which is most popular and served in restaurants. You can either use a regular steamer for this preparation or place a tiffin box inside a pressure cooker to get the same effect. 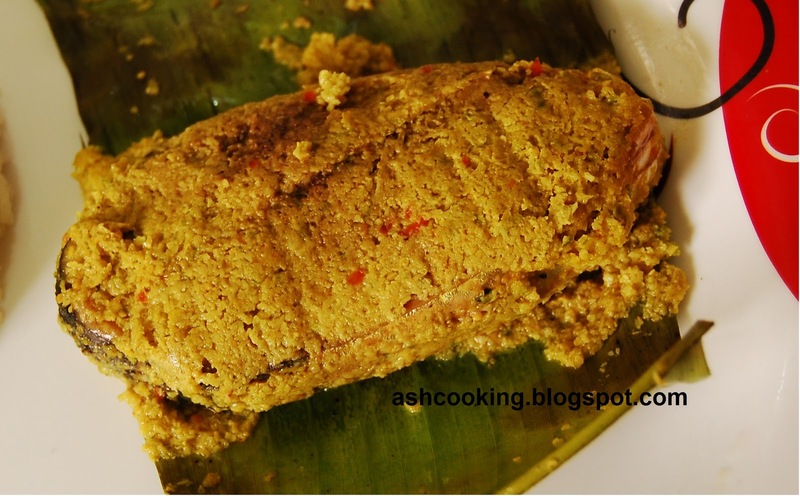 1) Grind grated coconut and green chillies to a smooth paste. 2) Now in a bowl, mix together coconut-green chillies paste, mustard paste, poppy paste, turmeric powder, salt and mustard oil. Coat the fishes with this paste generously. 3) Place the fish pieces individually on a banana leaf cut in rectangular shapes, the size depending on that of the fishes. 4) Wrap it up and tie with a string. See the pic below for reference. 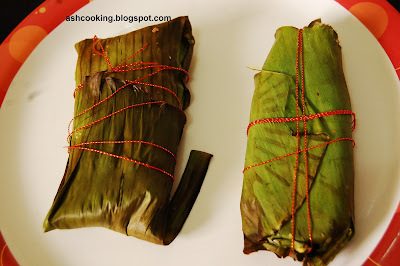 5) Place them inside a steamer or inside a tiffin box in case if you are using pressure cooker. 6) Cook for 6 minutes in steamer on high flame or 100% heat if using a microwave. If you are using pressure cooker, wait for one whistle. 7) Serve hot with rice.